Amy Beth Schumer is an American stand-up comedian and actress. Schumer ventured into comedy in the early 2000s before appearing as a contestant on the fifth season of the NBC reality competition series Last Comic Standing in 2007. Schumer is also known for being an incredible actress, she’s been in movies such as ‘Snatched’ and ‘I Feel Pretty’. As of 2019, Amy Schumer’s net worth is estimated to be roughly $16 million dollars. Amy Beth Schumer was born on the 1st of June, 1981, in Manhattan, New York. Schumer’s father is a first cousin of US Senator Chuck Schumer and was born into a Ukrainian Jewish family. She was also raised according to Jewish beliefs. Schumer grew up in a wealthy household in her early childhood, but when she was 9 years old, her father’s company became bankrupt. Things turned worse, and her parents divorced. Amy Schumer began her career in 2004 when she did her first stand-up comedy at the New York-based comedy club ‘Gotham Comedy Club’. In 2011, she appeared as a co-host of the talk show ‘A Different Spin with Mark Hoppus’. The same year she also appeared in one episode of the weekly podcast and radio show ‘WTF with Marc Maron’. Schumer began to appear as a roaster on the ‘Comedy Central Roast’ of Charlie Sheen in 2011. And during the same year, she appeared as a roaster on ‘The Comedy Central Roast’ of Roseanne Barr, with Jane Lynch as the roast master. Her first role in movies came in the American romantic comedy ‘Trainwreck’ where she played ‘Amy Townsend’. The film premiered on March 15, 2015, at the ‘South by Southwest Film Festival’ and released theatrically in the US on July 17 that year. In 2016, Schumer published her hilarious autobiographical book, ‘The Girl with the Lower Back Tattoo’. Her book peaked ‘The New York Times Best Seller’ list for a few weeks in 2016. The audiobook of the memoir read by her won her a ‘Grammy Award’ nomination for the ‘Best Spoken Word Album,’ in 2017. In 2018, Schumer appeared as Renee Barrett in the 2018 comedy ‘I Feel Pretty’. She also hosted the ‘MTV Movie Awards’ that was held on April 12, 2015. As of 2019, Amy Schumer’s net worth is $16 million dollars. Be grateful for everything, even though life is what it is. Schumer says that when she figured out she was an introvert, it was basically like her entire life made more sense. Introverts feel drained of energy when they are with other people for too long — so once Schumer figured out she was one, she made sure to fit solo time into her schedule. And that applies to practically all jobs, not just comedy: In order to get where you’re going, you’ve gotta work at it all along the way. Amy Schumer is an award-winning American stand-up comedian and actress who has made her mark in both films and theater. She earned her fame with the American sketch-comedy TV series ‘Inside Amy Schumer’ which was created and hosted by her. As of 2019, Amy Schumer’s net worth is approximately $16 million dollars. 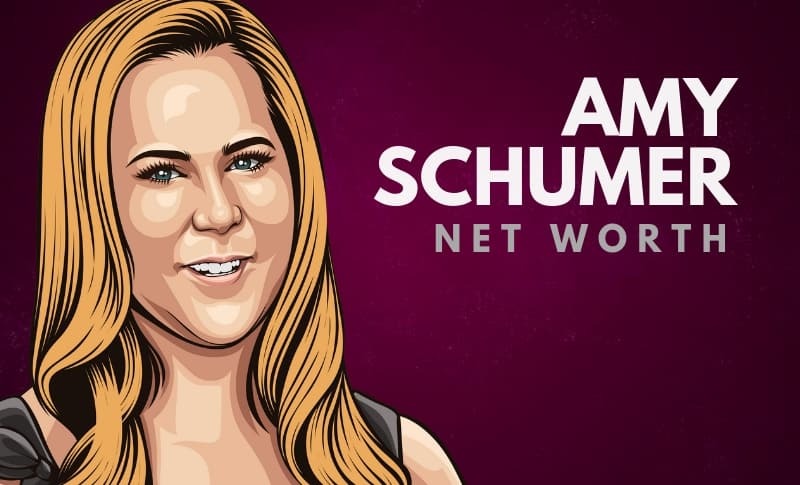 What do you think about Amy Schumer’s net worth? Leave a comment below.